Dunning is proud to be the region's premier supplier of CU™Soil. This is a revolutionary structural soil that was researched and patented by highly-trained specialists at Cornell University, a leader in all the landscape sciences. 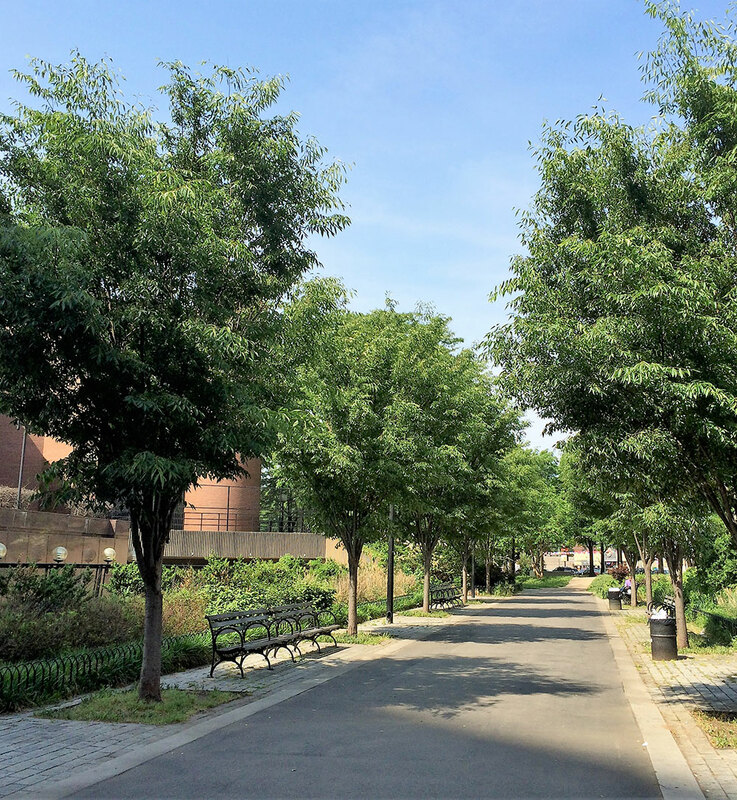 CU™Soil is a tree mix that protects pavements and sidewalks, provides ample rooting area for street trees, and decreases tree mortality and sidewalk failure. All in all, pretty amazing stuff—and Dunning has it! What's more, CU™Soil (from Amereq Inc.) is manufactured using only local materials, which reduces costs, transportation, and carbon footprints. CU™Soil is a two-part system comprised of 1) a rigid stone lattice that meets engineering requirements for a load-bearing paving base, and 2) a quantity of non-compacted soil that supports tree root growth. Its lattice structure has about 40% porosity. Soil fills the voids in the stone lattice, and as long as care is taken not to add too much soil to the mix, it remains non-compacted and root penetrable. Make Dunning Custom Soils your on-call expert for all soil needs. Call us for information or a consultation. Whether you need structural soil, stabilized soil, reinforced soil, rain gardens and bio retention basin soils, or need ground material for golf courses or athletic fields, we have the product solutions and selections just right for you. Call us to learn more about CU™Soil and other solutions from Dunning Custom Soils.